It's Trixie from Pink Glitter Studio! 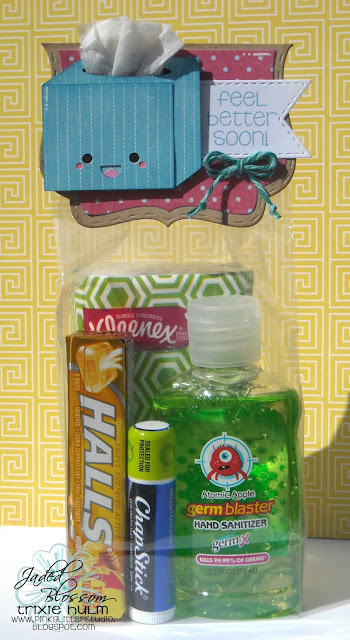 Today I made this little "Feel Better Soon" treat bag to share with you. Candy Charms and Banner Dies and the sentiment is from Get Well Soon. I also used some Twisted Teal Trendy Twine on the topper. Thank you so much for checking out my project today. this is so super adorable! GREAT get well project! Oh my this is jsut to stinkin adorable!!! 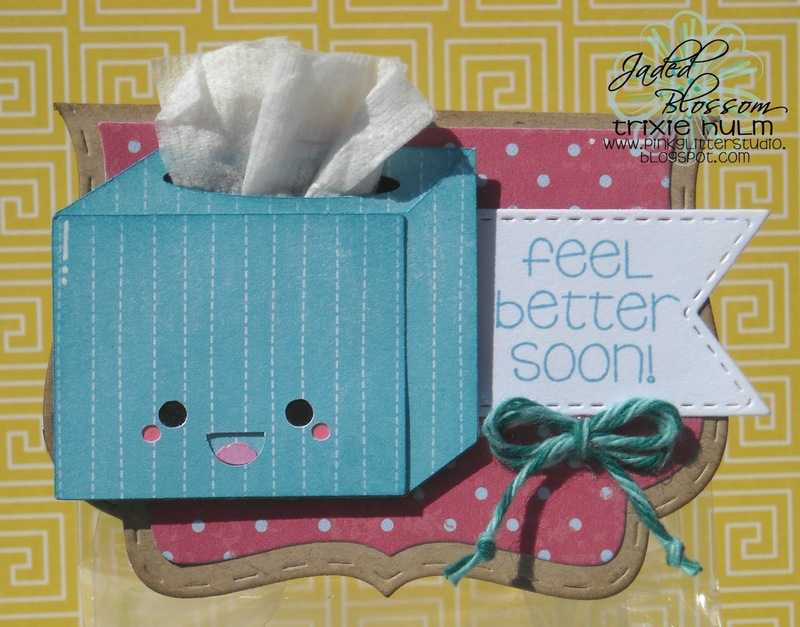 Too cute...love the kleenex poking out!! This is just so CUTE!!! I love it so much especially the Kleenex Box. what a neat gift!! and way toooo adorable!!! Thanks for sharing! I LOVE that kleenex box.